We help borrowers understand the FHA qualifications and requirements. The Federal Housing Administration has kept the FHA qualification process as a priority for the "average American borrower." The underwriting and loan qualification process varies slightly between purchase and home loan refinance programs. Both programs have the same loan to value requirements as home buying requires a 3.5% down-payment or a 96.5% loan to value and FHA refinancing needs 3.5% worth of equity to qualify. Find out if you are eligible for a FHA loan with bad credit. Direct Endorsed Underwriters do consider compensating factors like low debt to income ratios, sufficient equity and long employment histories. 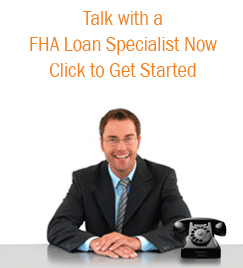 FHA Home Loans with Bad Credit Are Possible. Lower cost: FHA loans have competitive interest rates because the Federal government insures the loans for lenders. Always compare rate and terms with other finance options. FHA mortgages do not make sense for all borrowers, but millions of first time house buyers have been converted from a renter to a homeowner because the FHA down-payment are minimal and credit guidelines are lenient. FHA loans offer first time homebuyers and bad credit borrowers another opportunity with easy loan approvals: My Loan Quote.com published an article recently that discussed the pros and cons of 1st time home buying. 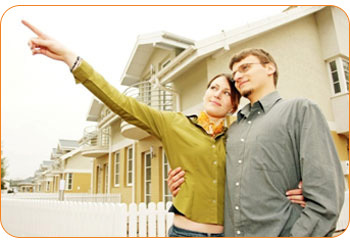 They mentioned that there are not many lenders that offer first time home buyer loans for bad credit borrowers. FHLR brings many years of experience to the table for new home buyers. We understand the FHA loan qualification process and have the competitive interest rates you need to save money. Less money down: FHA loans have a low 3.5% down payment and the money can come from a family member, employer or charitable organization as a gift. Other loan programs don't allow this. Easy qualification: Because FHA insures your mortgage, lenders may be more willing to give you loan terms that make it easier to get approved. Our team will help you qualify for a FHA loan that meets your needs. Bad credit OK: You don't have to have good credit scores credit to qualify for a FHA mortgage loan. In most cases, it is easier for you to qualify for an FHA home loan than a conventional or non-conforming mortgage loan. When buying a home for the first time, or buying a home after selling a home, a FHA loan qualification can be an asset because they have credibility with most realtors and sellers. When purchasing a house after selling a home, can be home mortgages are an attractive option for prospective home buyers. An FHA home mortgage can allow a person to buy a home with a low down payment and reasonable interest rates, as well as obtain a mortgage that is protected by the federal government. Qualifying for an FHA home mortgage means that a person can obtain this home mortgage option and allow themselves all of the benefits that come along with it. All FHA home mortgages require loan insurance to protect lenders in case the borrower may default on his or her loan. This insurance is primarily required for prospective home buyers who are paying an out of pocket down payment on their home that is less than 20%, which is what many FHA home mortgages offer. Also, the mortgage must be borrowed from an FHA approved lender to ensure that a person will be able to meet the FHA home loan qualification standards. The FHA has many approved lenders in various areas across the country to ensure that prospective home buyers across the United States can acquire an FHA house loan. FHA home mortgages also have lending limits that will vary from state to state, and a person should always investigate what their FHA lending limit is before deciding to apply for an FHA loan for the house of their choice. Also, debt to income ratios are taken into consideration when applying for an FHA loan, and those with lower debt to income ratios will be more likely to qualify. These ratios are considered to ensure that a person will be able to make the proper payments on their mortgage while still being able to pay for all of the costs incurred when owning a home. A person's credit history will also be taken into account when trying to qualify for an FHA home mortgage, and those with high credit scores and a history of timely payments are most likely to qualify and be approved. However, FHA home mortgages are not exclusive to those with excellent credit, and these home mortgages are often the most commonly sought by those who may have a lower credit score. Should a person have a blemish on their credit history, depending on the situation, they may have to wait for a certain period of time before being able to qualify. Most people consider FHA mortgage programs easier to qualify for than Fannie Mae and Freddie Mac house financing. With FHA loan qualifying criteria, in some cases, low credit scores are allowed. And you virtually no equity is required to refinance. FHA Interest Rates Have Never Been This Low! The interest rates for FHA refinance and home purchase loans remain competitive and comparable to conventional Fannie Mae mortgage rates. The government rates are great and with FHA home loans bad credit obstacles could be a thing of the past. Why is FHA so Popular?